FATE (Full Active Time Event) battles are encounters on the map that happen every so often, and allow players to get extra experience and other bonuses by helping out. Most FATEs will require players to do battle with large groups of enemies, or fight one extremely powerful enemy. Rewards vary depending on level, some big FATEs even going so far as to reward items! When you sense a FATE nearby, a message will appear on the screen, and the location will be displayed on the map. To locate a FATE, look for FATE indicators that randomly appear on your map. To join a FATE, simply enter the FATE radius (blue circle) on your mini map and attempt to complete the FATE objectives. There are no limits to the number of players that can participate in a FATE at a time. If the player’s level is too high, they will be asked to level sync down. FATEs can be completed by finishing the on-screen objectives within the time limit. Players are rewarded with experience and ffxiv gil when a FATE is completed. Players that have joined a Grand Company (GC) will also be awarded with guild seals pertaining to their GC. Players that are at a much higher level than the activated FATE will be prompted to Level Sync down to participate. If the player chooses not to, the player will not be able to attack the targets in the FATE. For those that do Level Sync, the player will be put at the highest level available to participate in the FATE. As you Level Sync, you will lose certain abilities gained at later levels. Ex: Arcanists with the skill Virus (acquired at level 12) will not be able to activate it in a Level 5 FATE. For those who don’t know, FATE farming is the fastest way to gain experience in FFXIV: ARR. 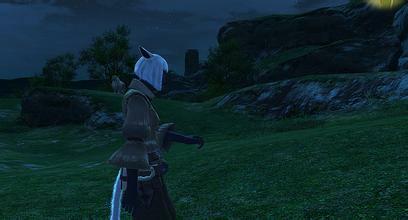 FATEs are dynamic events that spawn throughout the various regions of Eorzea. Based on your participation in the FATE, you earn experience and additional rewards, such as Grand Company seals. By quickly moving from one FATE to another for an extended period of time with a large group, you can level up very quickly. Hopefully this helps everyone out in gaining some quick experience and providing clarity to what FATE areas are most effective for your level.